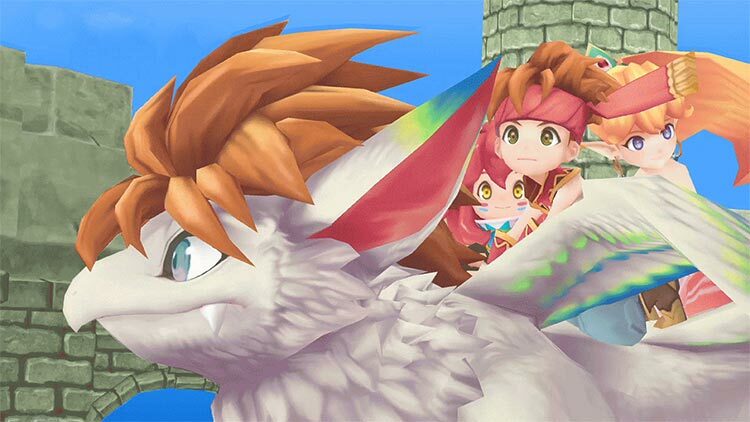 Embark on an action-packed, worldwide adventure in the 3D remastered version of Secret of Mana. Take on the role of Randi, a young boy tasked with reviving the magical power of Mana. The battle for Mana includes many tumultuous encounters along the way; armed with the Mana Sword and joined by his two companions Primm and Popoi, Randi leads the epic quest to battle the treacherous empire as it tries to gain control of Mana. In order to defeat the forces of evil, Randi, Primm and Popoi must befriend the eight elementals who hold the power that comprises Mana. 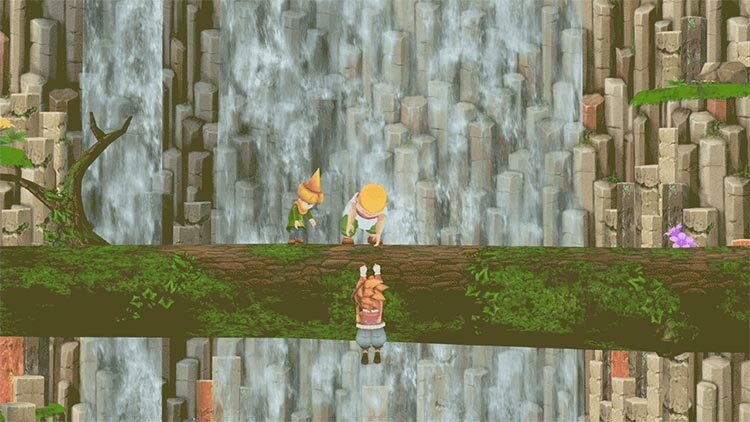 The legacy of Mana returns as the brave warriors set forth to bring balance back to the world. 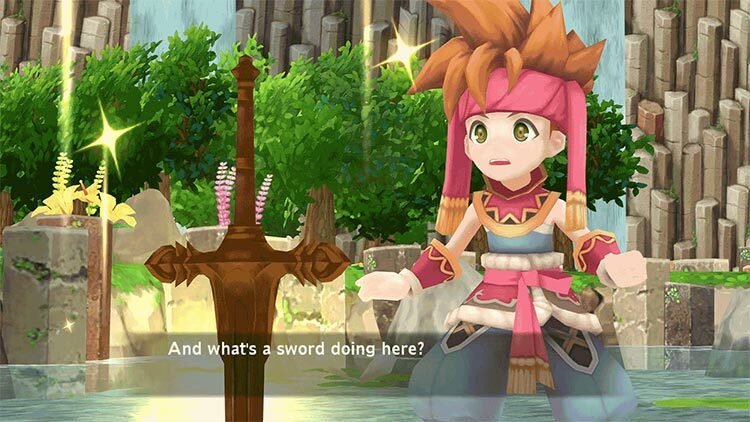 The memorable adventure of Randi, Primm and Popoi is reborn in Secret of Mana! With Secret of Mana being grouped up by so many gamers as their favorite game of all time, it was important for Square Enix to deliver as close to that same experience for a new generation, and they did just that. Some features might not have aged well or should have been added in for good measure, but this release of Secret of Mana is the same adventure that I remember, and I couldn’t have asked for more. The redone graphics look good. Two great soundtracks. Fun combat system. The option to play local co-op. Incredibly charming. Engaging characters. The characters' mouths don't move. Some weird menu choices. You often don't have information you need regarding items. Lots of backtracking. 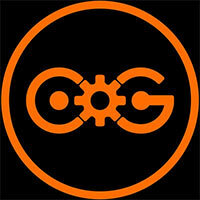 No online co-op. Too much accordion on the remixed soundtrack. 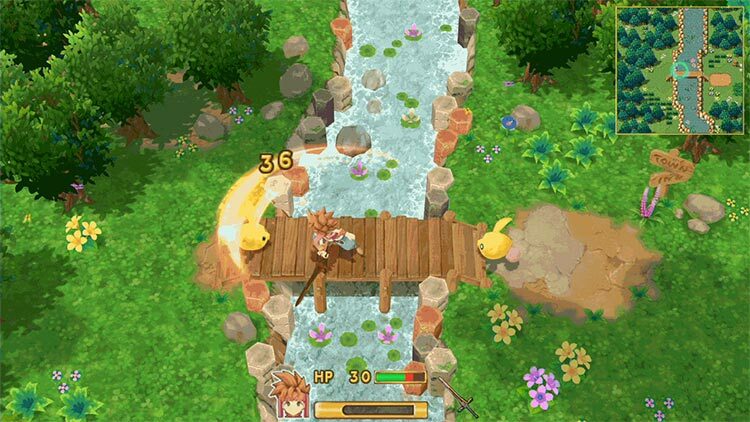 Honestly what would have been ideal is if it was left in the original state and given a 2D sprite makeover in the style of Final Fantasy IV for the PSP and maybe added some minor updates like shops containing item descriptions, but even with the complaints that can be made about this remake, it’s still Secret of Mana. Almost every JRPG fan will enjoy this remake, though a better Secret of Mana experience can be found on Super Nintendo. If you’ve never played the original version of Secret of Mana, you might enjoy this game. Some of the design decisions will come off as a little strange, but there’s some decent fun buried in there. If you loved the Super NES original, however, this updated version will fill you with confusion, anger and disappointment. The responsibility of a remake lies in its intent. If the idea was to preserve the original experience as much as possible while bringing the visuals up to modern standards, Secret of Mana fails with its slew of technical issues and unimpressive graphic design. If the intent was to forge a brand new experience based on the original, Secret of Mana fails as the dated combat engine challenged me in all the wrong ways and the added elements like voice acting fell flat with poor performances all around. While there’s plenty to love about the original Secret of Mana, this remake manages to kill off most the game’s charm while failing to modernize the parts of the game that actually need updating. Awkward animations, impenetrable menus, slow combat, and repeated random crashes add up to a game that, with 25 years of technological improvements under its belt, may actually be worse than the original. This Secret of Mana remake feels like a missed opportunity. It could have been a chance to tweak a few systems, strip away any outdated elements, and add in a few basic improvements. 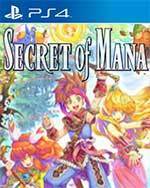 Overall the game is good but only because the original Secret of Mana was good; this remaster doesn’t add as much as it could and, if anything, removes some of the magic of the original. The biggest hindrance to Secret of Mana‘s success is that it isn’t a true remake, but more of an extensive remaster. At its core, the game remains the same, flaws and all. The additions, rather than being boons that bring Randi and friends into the future, are hindrances instead. It’s baffling to me that this release could have just been the original game, graphics and all, and likely make for a better investment of time, but that’s where we are. The remake disappointed me more than delighted me, but it’d be disingenuous to say I didn’t have fun with it. Taking down a boss that’s triple your size is still satisfying, and the wondrous world is teeming with creative baddies, from mushbooms to nitro pumpkins. Even so, this remake doesn’t do enough to address or improve the original’s problems. Some tweaks are for the better, others are for the worse, but the end result is a remake that fails to do anything meaningful with a beloved classic. This new remake marks the third time I’ve revisited Secret of Mana in the past year: First with the Japanese release of Seiken Densetsu Collection for Switch, and then again with the 16-bit game’s inclusion on Nintendo’s Super NES Classic Edition mini-console. The first two experiences reminded me what extraordinary alchemy Squaresoft achieved with Secret of Mana. You may as well just play the SNES version, even if it's the first time you're ever picking up a Mana game: the original spritework is able to pick up the slack of a few of its inherent shortcomings, which are only exasperated by the swap to 3D. Secret of Mana is a fighter -- it's going to take more than a few flaws to take it down. Secret of Mana HD sadly falls short in providing a definitive version of the SNES classic. Its visuals are subpar from a modern standard and little has been done to address some of its aging features. It's certainly the same great game it always been at heart but with other more polished remakes like the Shadow of the Colossus on the market right now it's a pretty tough sell. 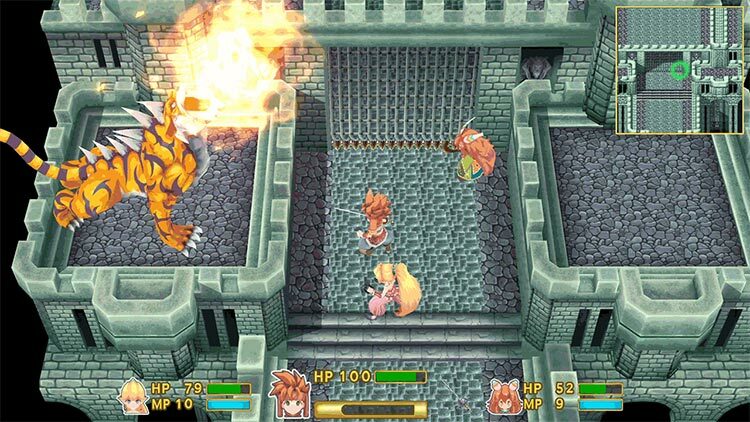 Let's hope though that Secret of Mana opens the door for more classic RPGs to be recreated, but please though, Sqaure Enix, don't let it be the same treatment for Crono Trigger or Final Fantasy VI. Square Enix ha querido rendir un buen tributo a una de sus sagas más clásicas. Y lo ha hecho recreando un remake de Secret of Mana que, sin ser perfecto, sigue gozando de una calidad muy notable. Su apartado gráfico 3D, sin ser malo, ha perdido gran parte del encanto que posee el título original, pero este defecto no empaña los buenos momentos que nos hace pasar y, sobre todo, la sensacional banda sonora dual que ostenta: lo mejor del juego sin duda… junto con su modo cooperativo para tres jugadores. A pesar de que esta remasterización de Secret of Mana nos permite disfrutar de nuevo de uno de los RPGs clásicos del SNES, se siente como una oportunidad desaprovechada de ofrecer una versión definitiva del juego. Su historia está muy bien escrita y aún se siente interesante, separándose de otros juegos con tramas que han caído en lo genérico de los últimos años. Su gameplay también ha sufrido un poco con el paso del tiempo. Lo que en su momento fue un combate innovador, ahora se siente repetitivo y con pocas variantes. Pese a los problemas, el remake de Secret of Mana es una experiencia tan divertida y emocionante como la original. Debajo de todos sus errores y los polémicos cambios visuales, está el mismo juego del que era casi imposible despegarme y que reinicié decenas de veces sólo por regresar a su mundo. Secret of Mana es a la vez una puesta al día, y una oportunidad perdida de renovar un viejo mito de los RPG en 16bits. El apartado visual mejora, pero no evoluciona lo suficiente, y lo mismo ocurre en la jugabilidad, en la que también avanza, pero tampoco ofrece un paso adelante respecto a lo visto en la década de los 90. Es decir, se queda entre dos tierras y no acabará de satisfacer ni a los fans del juego original, ni a aquellos que busquen una nueva experiencia. Un RPG clásico, que nos marcó en SNES, pero que en la actualización ha perdido algo de "magia". Los gráficos en 3D son demasiado genéricos, la nueva banda sonora no es tan contundente, y a los combates les falta ritmo y profundidad. El problema con Secret of Mana es que decepcionará a los jugadores que crecieron con el título de SNES porque ningún juego va a estar a la altura del recuerdo. Tampoco nos convencerá a los demás, la generación Pokémon, para los que los elementos que en su momento fueron innovadores son ahora básicos. Clásicos. Torpes y poco inspirados. A pesar del destrozo que ha hecho Square Enix a este homenaje de Secret of Mana, hemos disfrutado mucho volviendo a revivir las aventuras del trío protagonista. Su aspecto desenfadado y chibi nos ha encantado, le sienta como un guante si lo comparamos con la obra original. Las hazañas de Randy son tal cual se narraban en el cartucho para la consola Super Nintendo así como toda la base jugable del mismo. Dadurch werden viele Nahkämpfe und Bosskämpfe einfacher und viele Fernkämpfe schwerer - gerade die dämlichen KI-Mitstreiter bringen die Balance ins Wanken. Es gibt zwar einige "Komfort-Funktionen" wie eine Was-bisher-Geschah-Hilfe oder ein automatisches Speichersystem, aber z.B. keinen Item-Vergleich beim Kauf. Nein, in dieser Form kann ich dieses wacklige Remake von Secret of Mana selbst Fans des Originals nicht empfehlen, vor allem nicht für 40 Euro. En choisissant de plaquer sur le jeu original un masque 3D tout droit recyclé d'un jeu mobile, Secret of Mana loupe complètement le coche en proposant un remake qui risque de ne pas satisfaire grand monde. Aucun des bugs d'époque n'a été corrigé, un paradoxe assez incompréhensible lorsque s'écoule entre les deux versions un quart de siècle. Mis à part les déplacements 3D et la traduction française essentiellement reprise de la version mobile, c'est donc le coeur du jeu original qui bat, avec un rythme toujours aussi prenant, des mécaniques toujours aussi hypnotiques malgré des collisions à retardement qui paraîtront étranges aux yeux des joueurs d'aujourd'hui, mais aussi des compositions magiques qui vous saisissent dès l'intro. La sève coule toujours dans les racines de Secret of Mana, et on serait malavisé de vous en vouloir si vous décidiez d'y goûter. Square Enix a tellement voulu respecter l'héritage de Secret of Mana que les développeurs s'en sont tenus à un portage paresseux et pas toujours d'un goût exquis. Parce que derrière l'enrobage graphique et les graphismes anguleux, on a vraiment l'impression de revivre l'expérience de 1993, avec un multi nettement facilité (mais limité au local) et une interface toujours aussi problématique. Lorsqu’on veut refaire une pépite, il faut parfaitement savoir jauger ses qualités et ses défauts. Malhreusement, on a l’impression que Square Enix a pris Secret of Mana à l’envers, remplaçant une direction artistique exceptionnelle par une 3D faiblarde et un design général sans aucune inspiration, mais gardant une gameplay vieillissant sans vraiment y apporter quoi que ce soit. Cette version remasterisée de Secret of Mana est la preuve criante qu’il ne faut pas retoucher les chefs-d’œuvre sans y mettre les moyens. Vidé de toute sa substance artistique, le jeu ne bénéficie par ailleurs d’aucune optimisation capable d’améliorer son ergonomie. Si les anciens se laisseront sans doute embarquer pour un nouveau run, les néophytes auront en revanche beaucoup de mal à surmonter certains aspects archaïques volontairement maintenus au nom de la fidélité. Non si può parlare del remake di Secret of Mana senza pensare che non si è fatto abbastanza per portare a conoscenza di nuovi giocatori quello che è stato un piccolo gioiello degli anni '90. Senza dubbio un'occasione sprecata - un lavoro raffazzonato adagiatosi eccessivamente sugli allori di un successo che andava rivisto nell'ottica odierna, limandone i difetti per adattarlo al presente e consentirgli di ripresentarsi nella sua vecchia ma rinnovata gloria. Questo remake purtroppo fallisce nel rappresentare l'importanza del vero Secret of Mana, facilmente reperibile grazie alla compilation inclusa nel Super Nintendo Classic Mini: la nostra speranza è che Square Enix si dia una sonora svegliata, localizzi la Seiken Densetsu Collection per Switch e consegni quei gioiellini anche ai videogiocatori di oggi. Insomma, questa Secret of Mana è solo una discreta alternativa a un'esperienza che, a nostro avviso, tutti i poligoni del mondo faticheranno sempre a eguagliare. Secret of Mana non è un brutto gioco e siamo sicuri che farà la felicità di chi cerca un gioco di ruolo d'azione colorato, immediato e non troppo pretenzioso in termini narrativi e di impegno profuso. 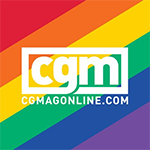 Cionondimeno, è impossibile non constatare come il budget destinato a questa operazione di recupero si sia rivelato insufficiente, come anche la voglia del team di sviluppo di svecchiare e modernizzare un prodotto che era eccellente ai suoi tempi. Secret of Mana HD Remaster is een vreemde eend in de bijt. Voor elke verbetering die de game aanbrengt, staat er een gekke keuze tegenover die dit weer opheft. Zelfs wanneer ik last had van de gekke AI of even was afgeleid door de mooie kleuren, voelde ik vaak het wonder dat ik als kind heb gespeeld. Zelfs met zijn zwakke kanten blijft dit een klassieke RPG die het waard is om gespeeld te worden. De gameplay is bij een remake of remaster misschien nog wel het belangrijkste element en juist op dat gebied zijn lang niet alle punten in Secret of Mana even sterk. En grafisch gezien doet de game jammer genoeg ook niet alles goed. De klassieker is prima omgezet naar een speelse anime stijl die herkenbaar is en past bij vandaag, maar de statische gezichten doen geen wonderen.